SMITH & WESSON N FRAME REVOLVER MODELS ANATOMICAL STIPPLED WALNUT WOOD GRIPS - Vintage Gun Grips - Reproduction Pistol Grips, Buttplates and Grip Caps. 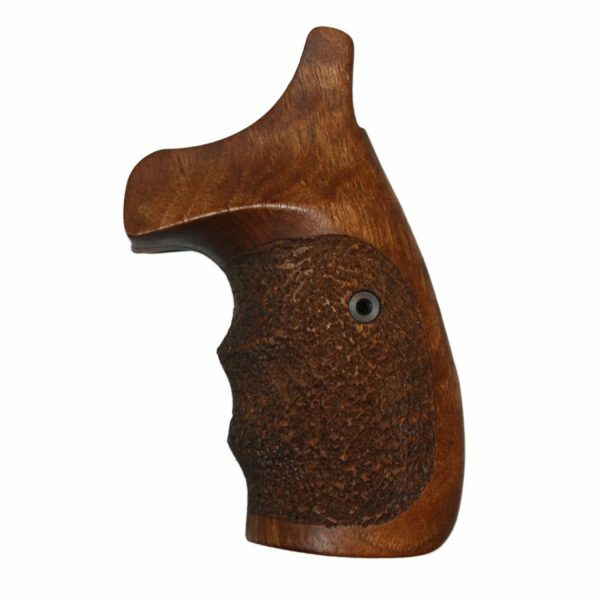 Fine Walnut Grips made in the tradition of the old world and imported from Europe. These grips fit the Smith & Wesson N frame model revolvers. Stippled finish with ambidextrous thumb rests and includes a grip screw.